While walking on forest tracks, my father almost stepped on that poor thing! About 40 cm long, bathing in the late afternoon sun was this strange snake-like looking animal…which is actually not a snake! 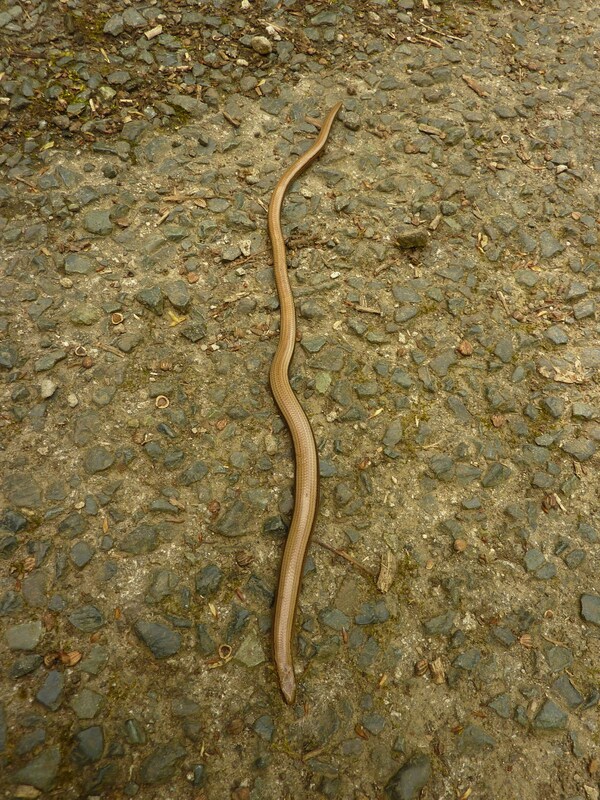 It’s called slow worm in English, orvet in French or Anguis fragilis in latin and it’s in fact a limbless lizard. 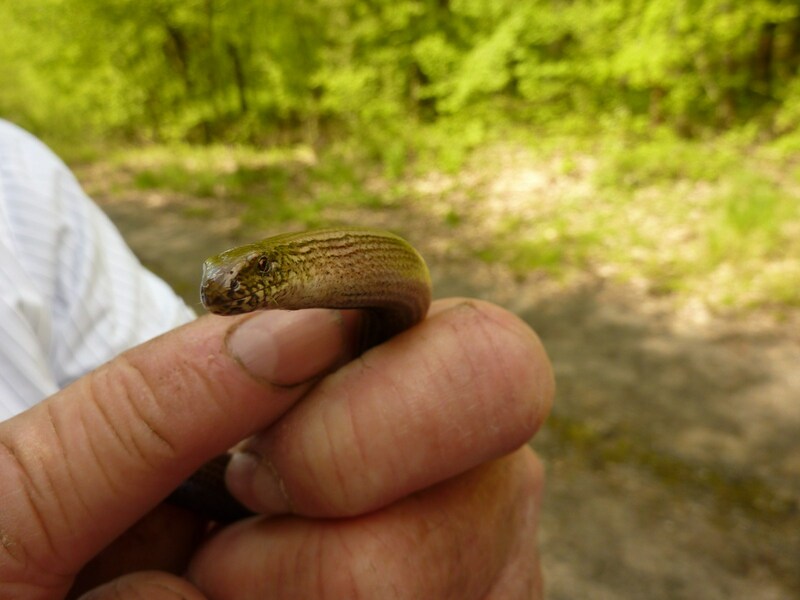 Unlike snakes, the slow worm possesses moveable eyelids. It is pretty slow moving, hence the name and it’s absolutely harmless (and a precious ally to gardeners, because it feeds on slugs and snails). It also has the strange ability to perform autotomy (it can voluntarily shed its tail to escape predators, but only once in its life time). I still can’t decide if it’s a male or female though….female are supposed to have a thin dark line on their back (which is obviously not the case for mine), but males are more uniform in colour, and greyish….any thoughts on that? So cool…I’ve never seen one in the UK! Oh, that’s not suprising, I had a nest in my compost a few years ago! Hope you’ll see one, they are so cute. Wow that’s cool. It’ll probably terrify me when I first see one – hopefully I’ll get over that though!